Sanders cites an article in the Washington Post that details the “action” in New Zealand, where Prime Minister Jacinda Ardern announced Thursday that her government was banning semiautomatics six days after shootings in two Christchurch mosques that killed 50 people. Police say the attacker was prepared for another assault. Arden said she plans to buyback weapons that are already in circulation and prosecute anybody who doesn’t comply with the ban. 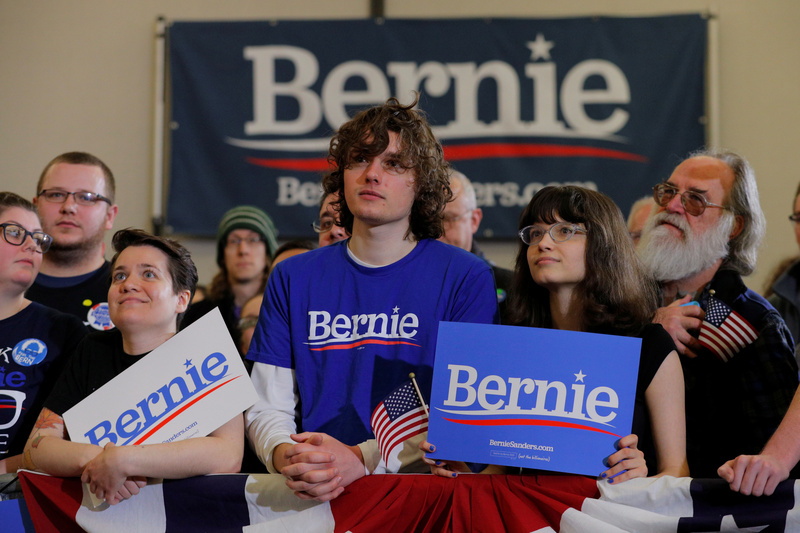 Supporters listen as Democratic 2020 U.S. presidential candidate and U.S. Senator Bernie Sanders (I-VT) is introduced at a campaign rally in Concord, New Hampshire, U.S., March 10, 2019. REUTERS/Brian Snyder. His position hardened in the wake of the Parkland shootings in February 2018, when a student killed 17 of his peers. Sanders was a popular speaker at Parkland rallies that advocated increased gun control in America.